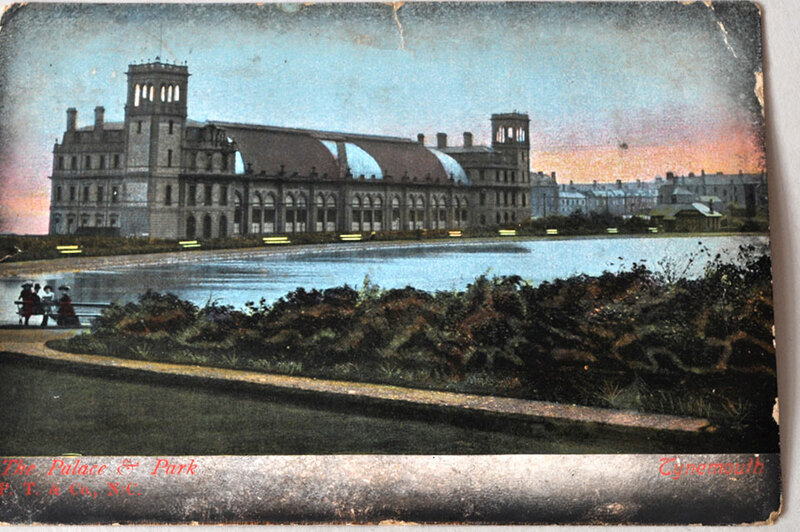 The Palace & Park, P.T. & Co. NC – Sent at 10pm, May 24th, 1905. Purchased at that shop in Victoria mentioned on Day 67. I adore that they postmarked the time on the stamp cancel. 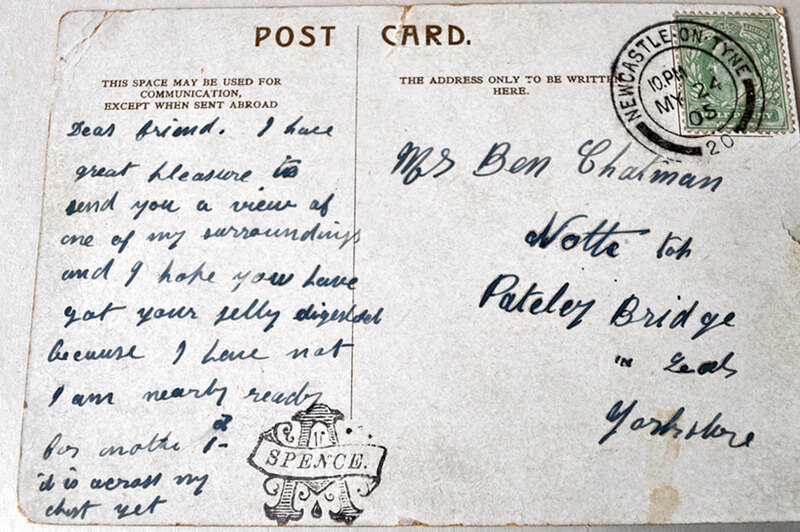 Over 100 years later, we have email marked in a similar way. 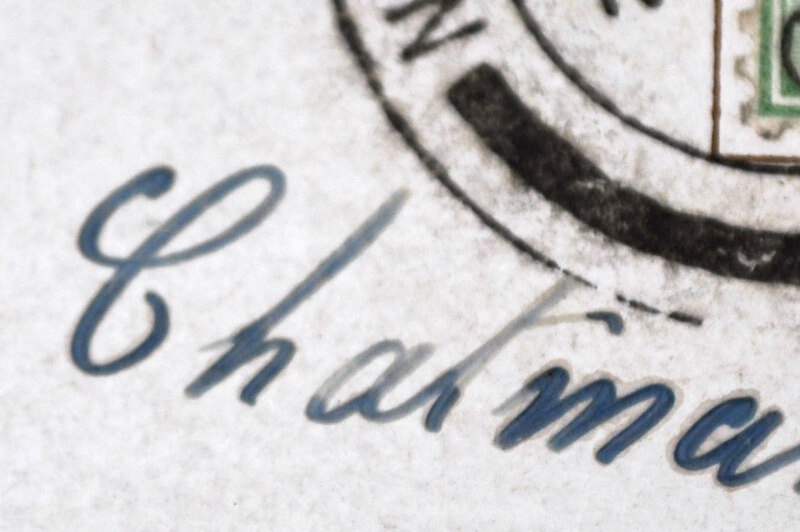 It almost looks like the “Spence” mark is a personal seal from the sender, as there is no signature. But I could be wrong. Both chaps seem to have enjoyed a robust meal when last together. I am equally enchanted by the handwriting. And the way the ink sinks into the paper. Status: Reason #9 (so close) for macro lens – to get some more of that ink seeped into the paper.